I’m at the point now where I want to start building up some more trade bait for the blog so I can get new packages coming in, since I’m so close to giving credit to all the packages that have come in. I just need a little time and motivation to actually work on that instead of other hobbies. It’s hard to balance my time properly and I always feel like I’m not giving enough consideration to something I really enjoy. I’ve also been having computer problems lately and am slowly transitioning to a new laptop. I haven’t scanned cards that came to me in February or updated my spreadsheets yet. Anyway, these are all just ways to slightly rationalize how pathetic it is that I still haven’t shown everything from a trade package that came in back in 2017. If you recall, not so long ago I mentioned that Kerry, also known as Madding, also known as Cards on Cards just keeps sending me more stuff out of nowhere and I’m very far behind in showing off every card. I think the next post I make for his mailings will put me into 2018 finally. 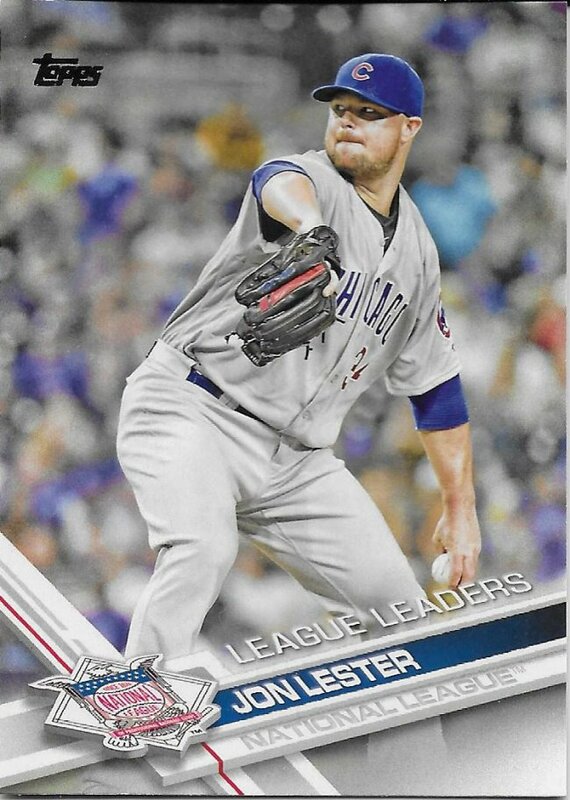 I’ve purchased the NL All-Star blisters for 2017 and 2018 (and might for 2019, depending on who’s in it), but didn’t get this year since the Cubs hadn’t won the whole thing yet. Thankfully they’re available nationwide so I can get this slight numbering variant that’s oh so important to fools like me. 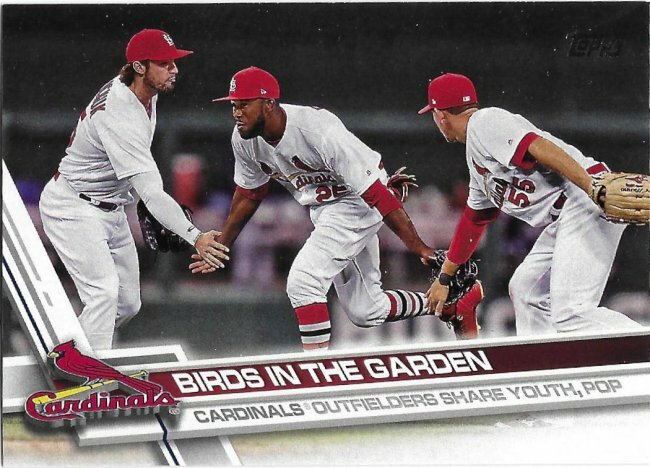 Kerry is a Heritage set collector as well as a Cardinals collector, so I like to try to help with his sets here and there as I can. 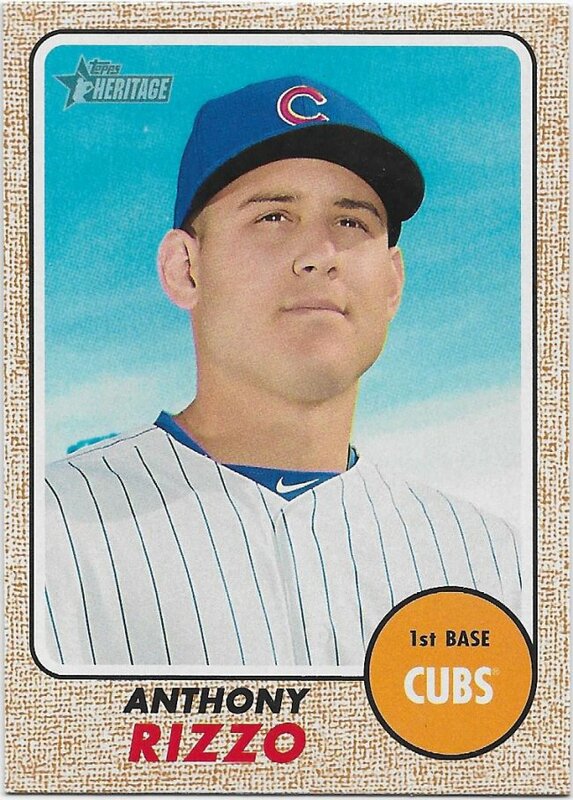 In return, he sometimes sends me his duplicates like this Rizzo short print. 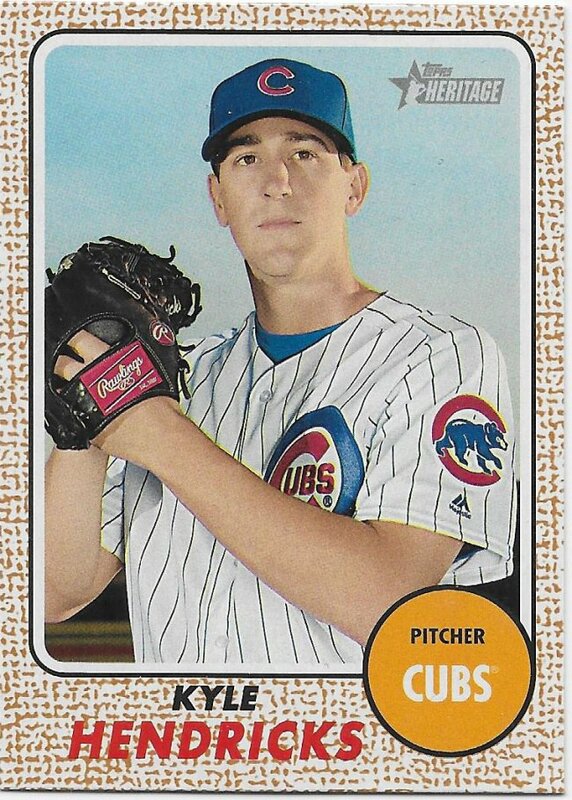 Hendricks is not an SP, but he is someone I needed as I only bought a single blaster of this. I’ve said it before but it always bears repeating until the quest is complete. 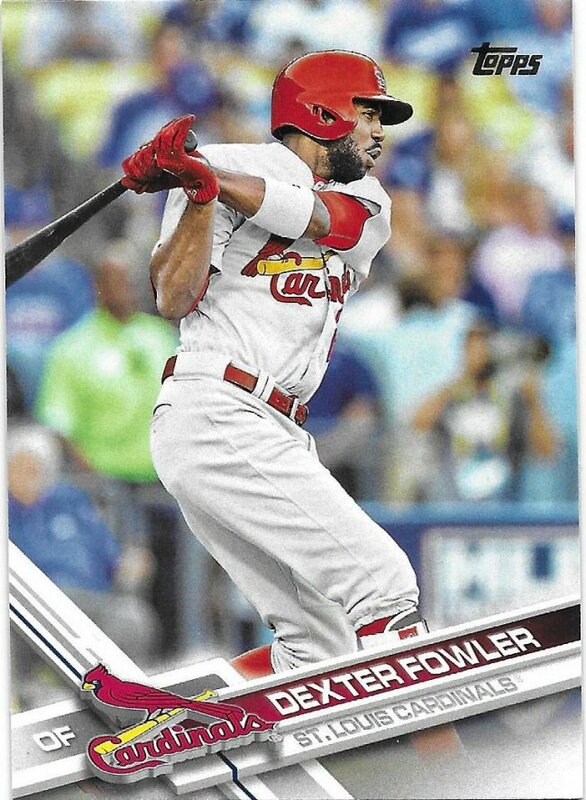 Base cards are a trading-to-me-person’s best friend. There are so many I need. 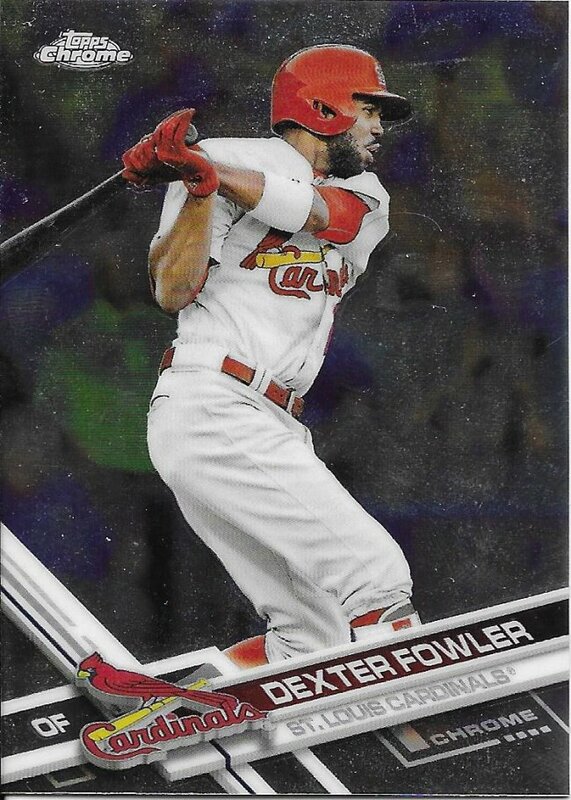 He may not be named on the front of this card, but I do count this as a Dexter Fowler card on my checklist. 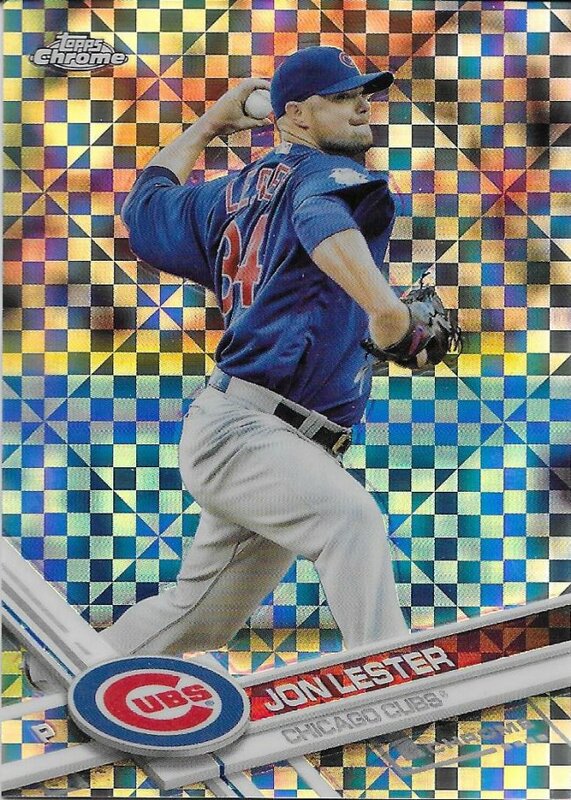 It was nice of Dexter to continue playing for the Cubs while technically playing for the Cardinals. 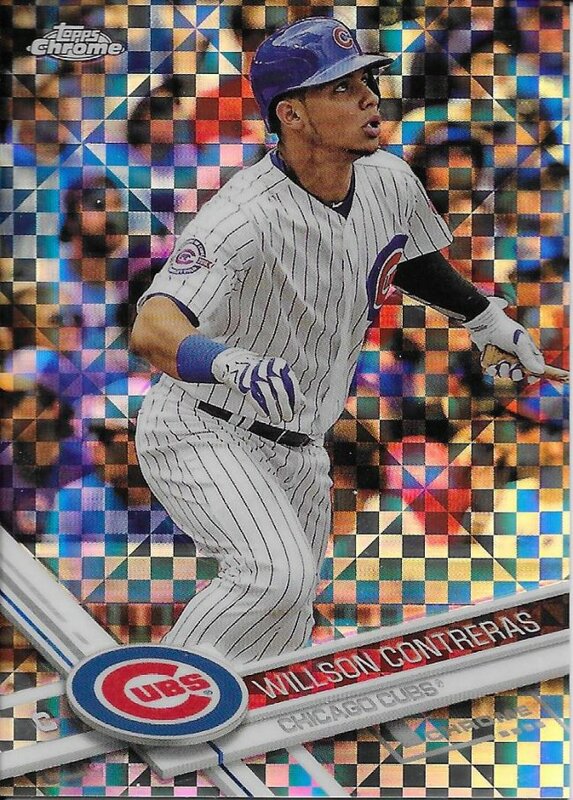 I really haven’t begun on this chrome rainbow except for one of the gold refractors, but I’ll take any start I can get. No matter where they came from, I’m glad they’re with me now. Just a handful more players to obtain. If any of you out there have them, let me know! Thank you again to Kerry for the old trades, for the new trades, all the surprise packages. There’s still way too much to show, but at least I’m moving forward on the timeline. 44 left to show before taking Sportlots delivery. Now I don’t feel as bad about being behind in posting my recent card acquisitions. Great cards! Haha. Glad I could be of service!